s the birthplace of powered flight, and home of one of the largest air forces, and some of the most historic and interesting commercial carriers of all time, it stands to reason that America has quite a bit of aviation heritage lying around. Therefore, a lot of the important stuff has been – thankfully – retained and restored, put on display in museums and collections around the country. 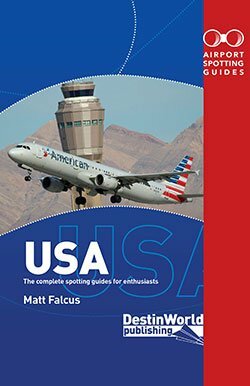 Most of the 50 US states offer some kind of aviation museum which is dedicated to telling the story of flight, aerial combat or air transport in that particular state. However, there are also some major aviation museums in America which are on a whole other scale. 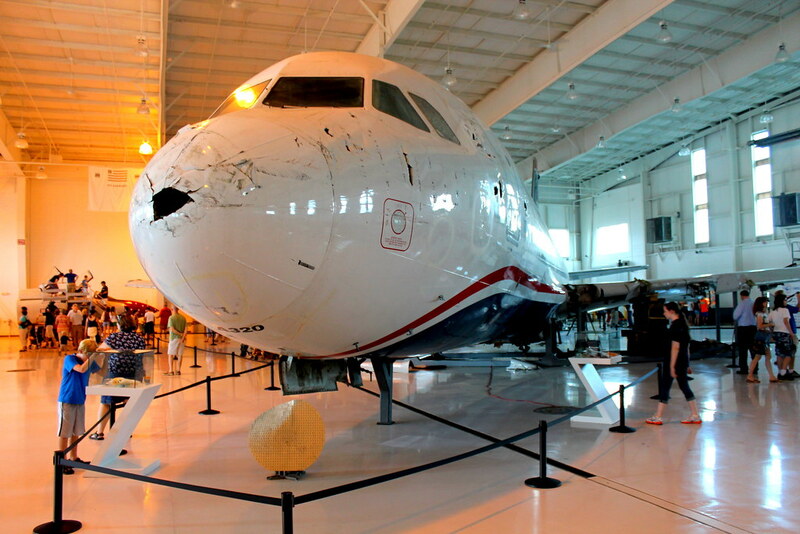 Here we present 10 American aviation museums you should not miss. 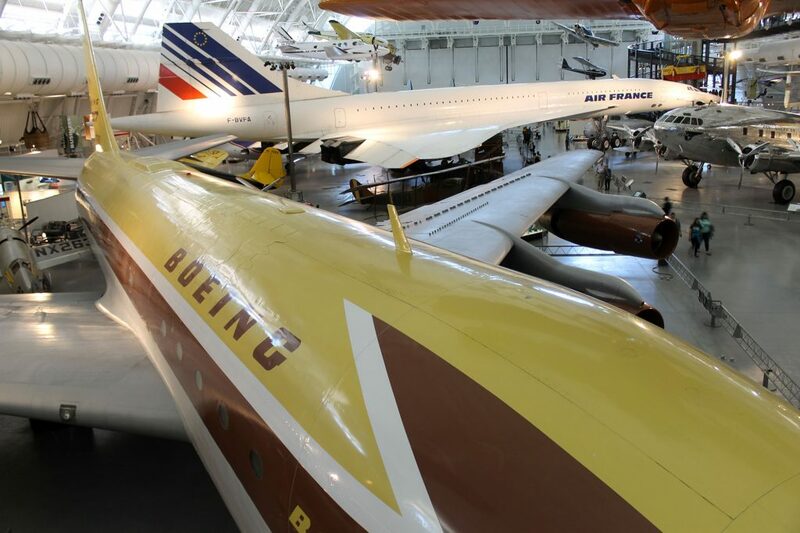 Whilst the Udvar-Hazy Center at Dulles Airport (see below) has more of the larger commercial aircraft on display, this more central museum to downtown Washington DC tells the history of flight very well. Its exhibits include the Spirit of St Louis and the original 1903 Wright Flyer, which every aviation fan needs in their logbook as the first powered aircraft to fly! Open daily (except Christmas Day) from 10am to 5.30pm, admission free. The second site, at Dulles Airport. 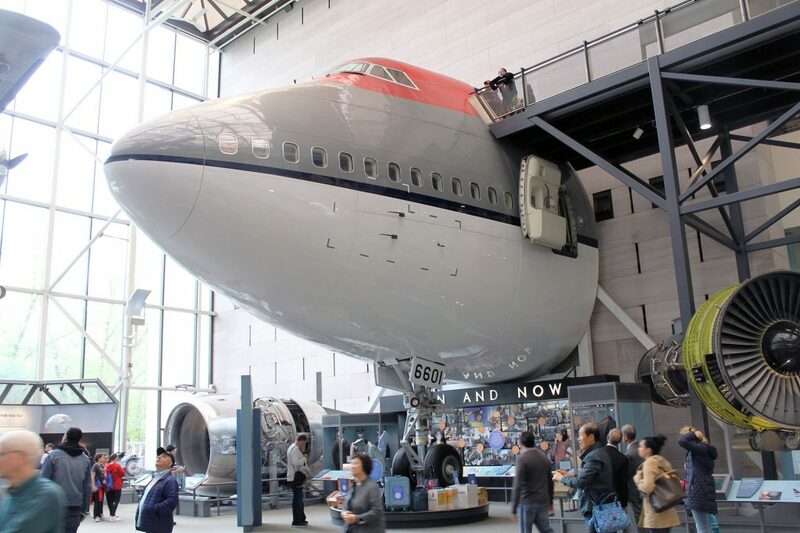 Along with the Museum of Flight in Seattle, this is the greatest aviation museum in the USA, linked with its sister National Mall Building in downtown Washington. Exhibits include SR-71 Blackbird, Space Shuttle Enterprise, Boeing Dash 80 (707 prototype), Air France Concorde, B-29 “Enola Gay”, and many more on display. The museum is linked via taxiway to Dulles, situated just to the south of the airport. Open daily (except Christmas Day) from 10am to 5.30pm, admission free. 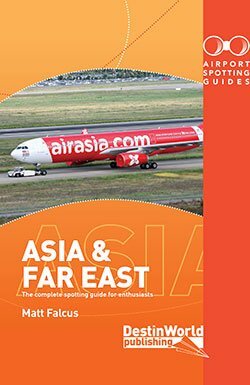 A great museum with hundreds of aircraft preserved, including a Boeing 787 Dreamliner, 707 Air Force One, 737-300, a Sud Caravelle, Douglas DC-7 and lots of military types. Well worth a visit. Open daily 9am to 5pm (last admittance 3pm). The largest museum of the US Air Force with over 360 aircraft exhibits, such as the Bell X-1. It covers the history of the US Air Force, all located at Wilbur Wright Field, part of present-day Wright-Patterson Air Force Base in Dayton. Look out for the restoration hangar to the east of the main museum, where additional aircraft may be visible. Museum open daily, 9am-5pm. Situated near Robins AFB, to the south of Macon, is this large museum with a collection of historic aircraft related to the US Air Force history. Includes many transport aircraft, with both indoor and outdoor displays. 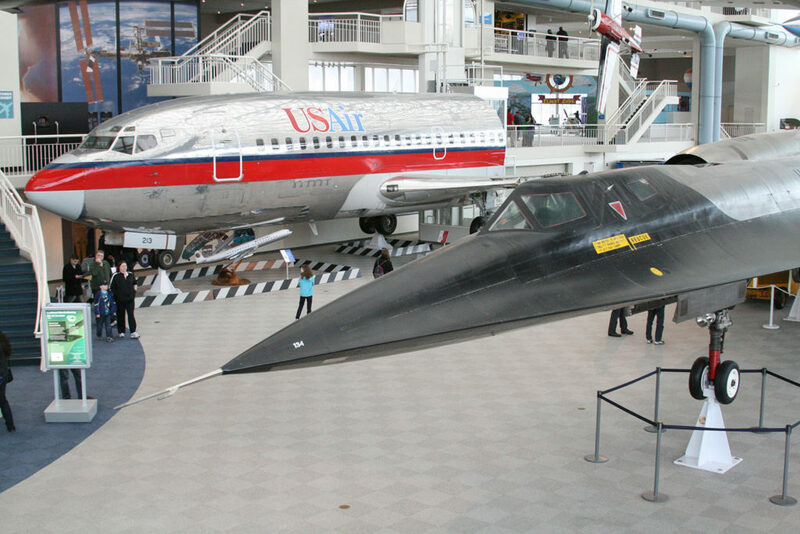 Includes the SR-71 Blackbird with the world speed record. The museum is open daily except Thanksgiving, Christmas and New Years Day, 9am-5pm, free admission. 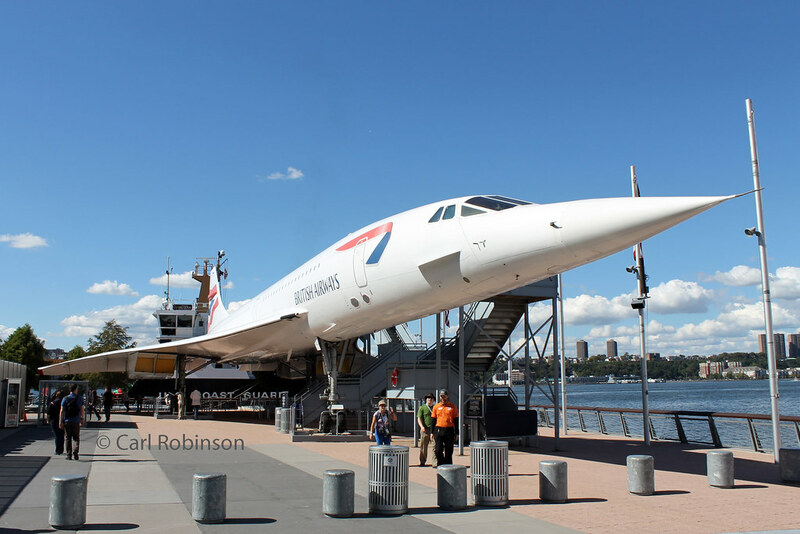 An easy to reach air, sea and space museum in the heart of Manhattan, all set around the historic aircraft carrier moored on Pier 86. Exhibits of note include Concorde G-BOAD and Space Shuttle Enterprise. A must-see in New York City. Open daily 10am-5pm (6pm in summer). A giant museum taking in many of the original Boeing factory buildings, and a huge collection of aircraft from the earliest days of flight to the present day, both civil and military. The airliner collection includes the prototype Boeing 737-100, 727-100, 747-100 and 787-8, plus an Air Force One 707, Canadian Lockheed Constellation and British Airways Concorde. 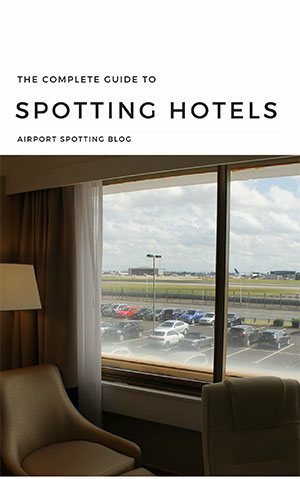 The ‘air traffic control tower’ part of the museum and the area outside the entrance are good places to spot aircraft movements on the runway at Boeing Field. Open daily 10am to 5pm (9pm first Thursday of the month). Adults $20. Cheaper for concessions and under 5’s are free. 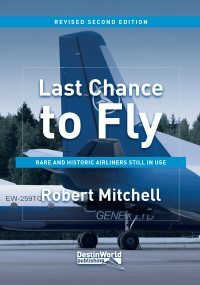 Perched just outside the entrance to this excellent museum at McMinnville is a former Evergreen International Boeing 747, giving you a taste of what’s to come. Inside you’ll find a good mix of aircraft and exhibits telling the history of air and space. The most famous exhibit is Howard Hughes’ H-4 Spruce Goose, which was brought here from Long Beach, CA. 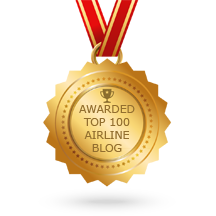 There are two Boeing 747s in total, plus a DC-3 and DC-9. Open daily 9am-5pm. Tucked away in the north-east corner of Charlotte Douglas airport, this is a great little museum charting the history of aviation here in the Carolinas, where the Wright Brothers made the world’s first powered flight. 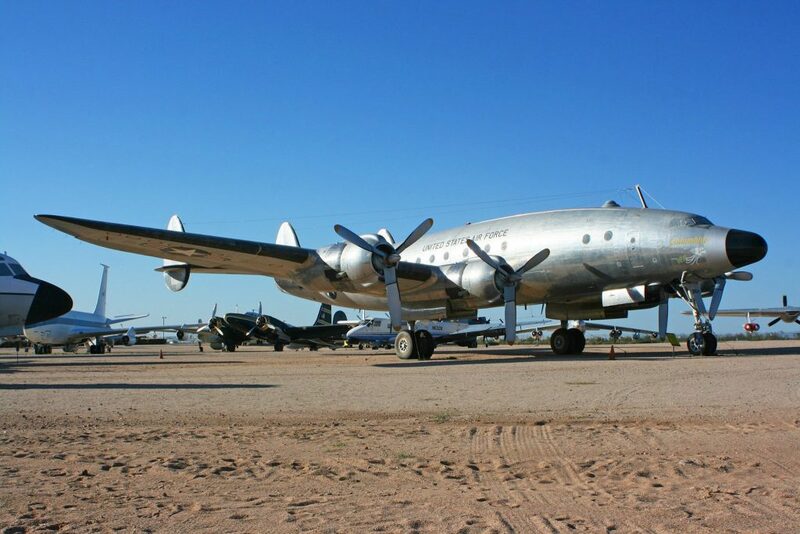 The collection here includes a Piedmont DC-3, USAF C-47, many military jets and helicopters, and the US Airways A320 which landed on the Hudson River in New York. Open daily from 10am (1pm on Sunday). Learn all about NASA at its Mission Control base in Houston. Lots of fascinating exhibits, the largest of which is Boeing 747 N905NA and its Space Shuttle Independence payload parked outside the museum. Open daily 10am-6pm. National Naval Aviation Museum, Pensacola, FL? Experimental Aircraft Association Museum, Oshkosh, WI? USS Yorktown, Patriots Point, Mt. Pleasant, SC? USS Midway, San Diego, CA?